Walmart offers the Mainstays 8-Opening Collage Frame for $5.70. Choose in-store pickup to dodge the $5.99 shipping fee. That's the lowest price we could find by around $10. It holds eight 5x8" photos. In this day and age, who's got the time to search for a coupon? We do! 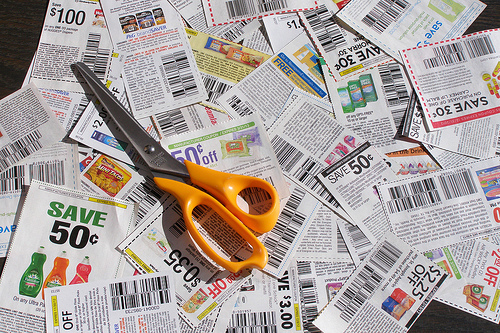 To help you stay on top of all things discount, we've rounded up the 10 best coupons of the week. Slash an extra 30% off at ShoeBuy, take an extra 20% off at Macy's, snag BOGO tickets from Ticketmaster, and more. Ticketmaster: Buy one ticket for select shows nationwide, and get a second ticket for free via code "TMN241". Enter your ZIP code to choose your area, select an event, and then select this offer under ticket type. Available seats will display once you've entered the code. Tickets can be purchased via "Print at Home" or "Will-call." Schwan's: New customers can slash 50% off this food delivery service sitewide via code "FIFTYOFF". A maximum discount of $50 applies, and some exclusions may apply. Deal ends May 31.